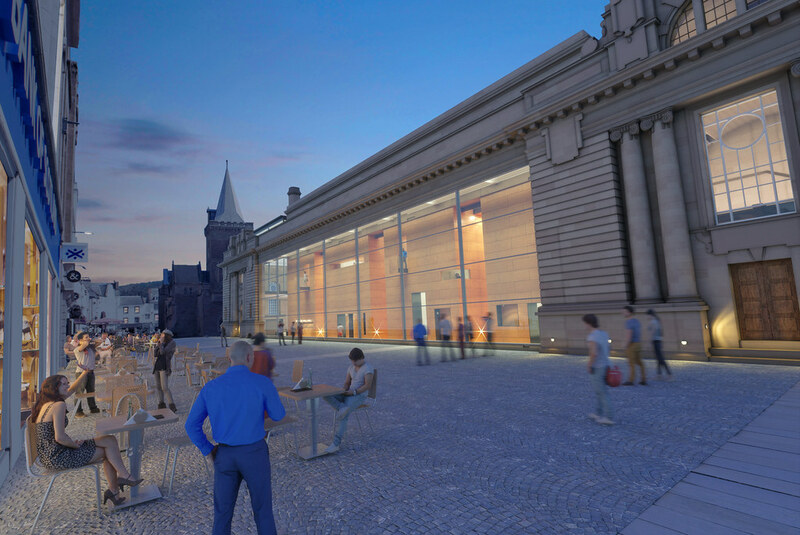 Our proposals for the conversion of the former Perth City Hall into a gallery and museum were submitted to the Council in June and along with our fellow competitors went on public display. A winner is due to be announced in August. We think the building needs radical surgery, not just internally, to transform it from a concert hall to a museum and gallery, but also to make the new function of the museum evident from the outside. Currently it is a mysterious (and slightly forbidding) box. There are no views of what happens on the inside from the outside. 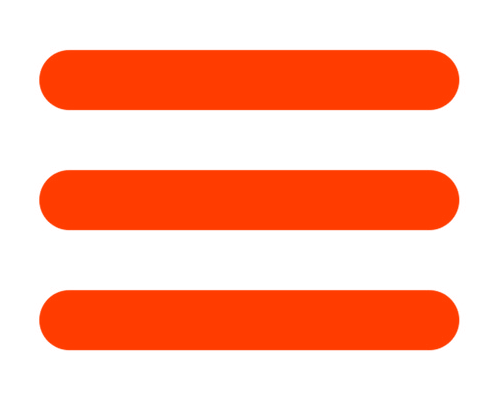 We want to change that so as to invite the public across the threshold. Externally, the most architecturally important elements are the western entrance elevation and the four corners of the building; internally the two main staircases and the plastered vault with its ten Diocletian windows lighting the main hall. 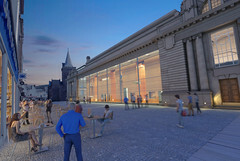 The main entrance will remain on King Edward Street but our first move is to make a secondary entrance opposite St John’s Kirk and to place the café and shop there. 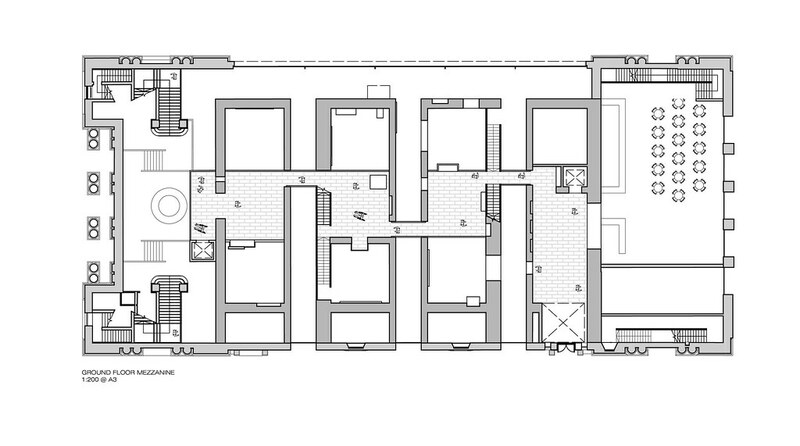 Next we would lower the ground floor of the entire building to be at the same level as the surrounding streets to make the whole building accessible to all. Our most radical move would be to remove the central part of the north elevation, insert a giant steel beam and rebuild the cornice and parapet but otherwise replace all the stone work with glass wall. The Council has an astonishing 450,000 objects to display, most of them fairly small scale but ranging from ancient flints to modern art. The largest object is a 4m long historic boat. 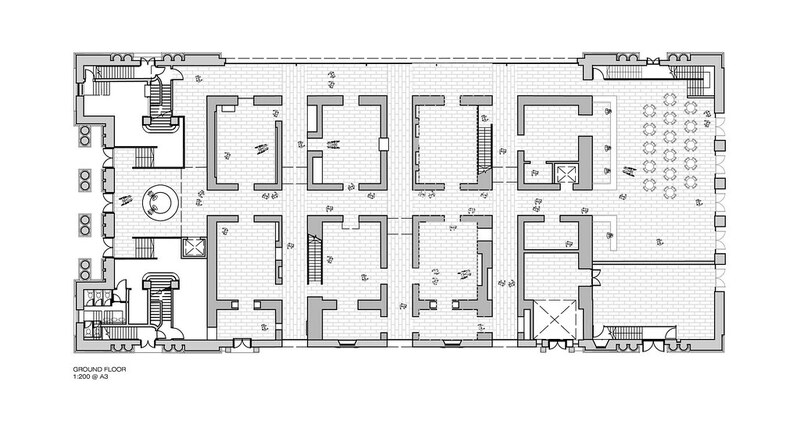 We don’t believe in the “massive warehouse” museum but rather a series of interconnecting and very varied spaces. 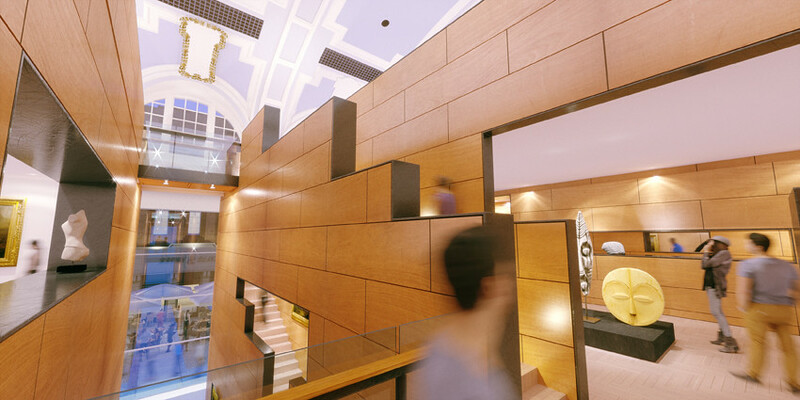 We also like the idea of making a museum of “thick walls.” This means that wall thickness can be used to display objects and all air circulation can go vertically so that floor thicknesses and floor to floor dimensions can be smaller than required for horizontally distributed services. 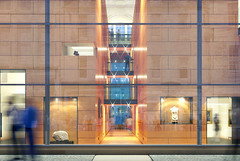 We have therefore designed four gigantic “cabinets of curiosities” which span across the old concert hall with three narrow internal vertical streets in between. 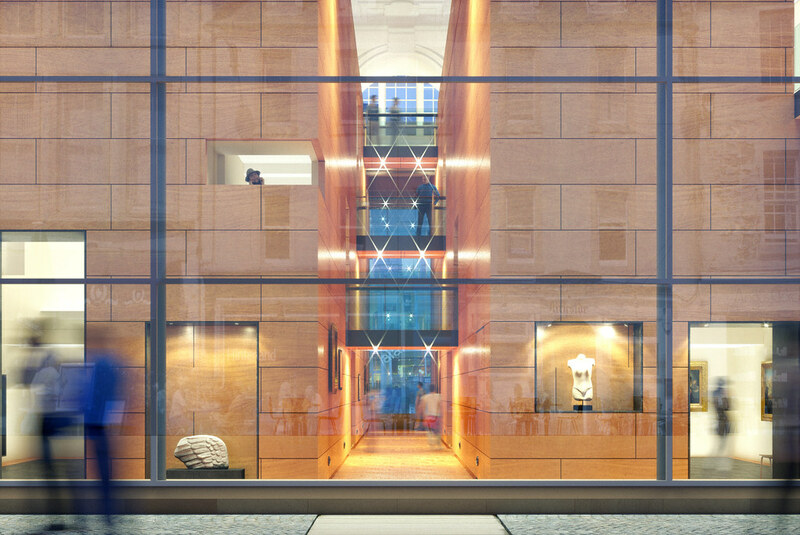 By removing three narrow slices of the south façade three views can be made right through the building from St John’s Place to South St John’s Place. These ‘streets’ will be made dramatic with bridges crossing at different levels revealing visitors moving through the building giving and controlling views into the cabinets themselves. 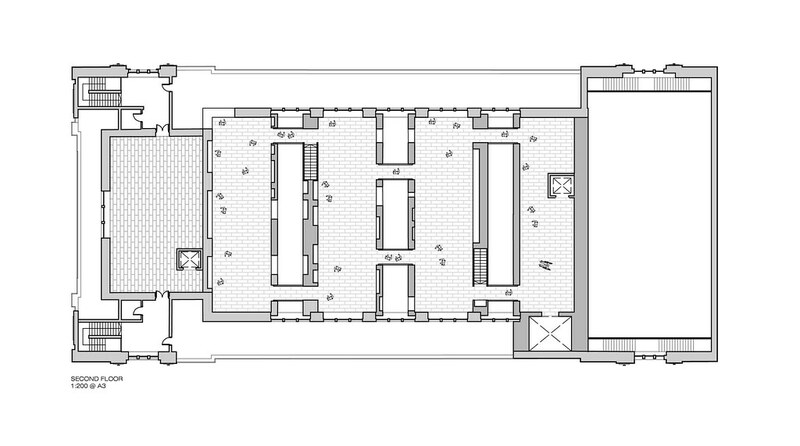 Four levels are possible culminating in an open exhibition area under the original vault of the hall. 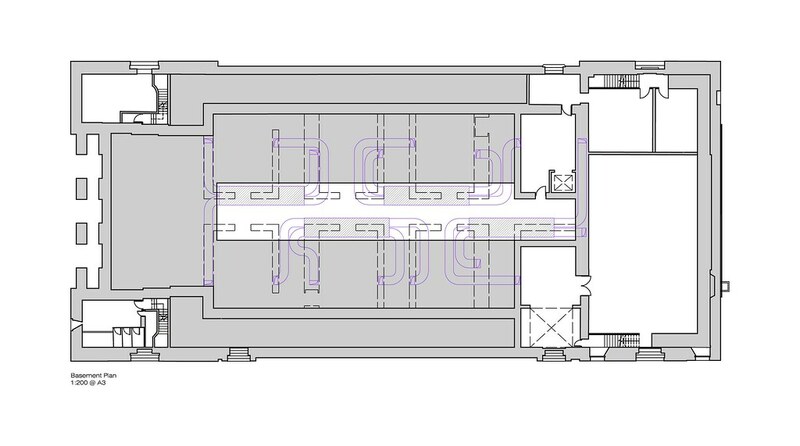 Within the cabinets routes can go from north to south, east to west and vertically as stairs are contained within the walls to allow visitors to move between levels. A massive variety of spaces and lighting conditions is possible. This means that visitors can pick their route through the building but the streets always orientate them and make sure they don’t get lost. 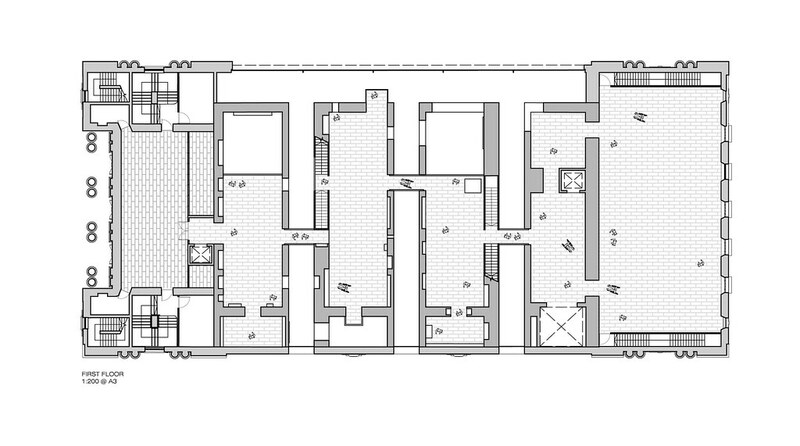 In organising the exhibits, obviously this needs to wait until a museum designer is appointed, however the idea of a “matrix” of spaces with four potential floor levels means that, for instance; “themes,” “artefacts” and “epochs” could be arranged both horizontally and vertically through the building.